Michael Longhurst has directed many critically acclaimed productions, including Nick Payne’s Constellations in the West End and Broadway. 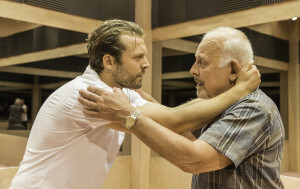 Longhurst is an Associate Director at Southampton’s Nuffield Theatre and his new version of Caryl Churchill’s A Number for Nuffield recently transferred to London’s Young Vic Theatre. Science Centre Stage spoke to Michael Longhurst about his views on science in theatre and on how he worked with designer Tom Scutt on the remarkable stage set for A Number. A Number was first produced in 2002 at a time when cloning was very much in the public conscience (not least because of ‘Dolly the Sheep’). What stimulated you to direct A Number again now? It’s a play that I had read at drama school and had fallen in love with at that moment. I think the line-by-line writing that Carol makes the scenes out of is extraordinary. I studied philosophy at university and I think the thematic ideas of the play are really interesting. They go beyond and above the idea of cloning and into the idea of personal identity, and beyond and above the idea of nature and nurture and into the idea of freewill and determinism. She is so erudite in packing in so many ideas into a very short, punchy play and it’s an incredibly exciting theatrical premise. Science is a key enabler in understanding who we are, who we are now and who we are becoming. Fundamentally, we watch an actor pretend to be more than one version of himself, which is absolutely the most basic part of acting and theatre. It allows us to access the idea of a clone with the same genetics but who behaves differently. I love the simplicity, theatricality and complexity of the ideas it draws on. We were looking for an exciting project for Southampton University (where The Nuffield is based). It has a lot of specialization in biomedicine, so we hoped that it would appeal to some of the audience there. I was working with designer Tom Scutt, who also designed Constellations, and we were excited about the design opportunity to really push a conceptual version of this play in how we staged it. The strength of reaction is one of the major factors that has brought it to life again and brought it into town (at the Young Vic). In rehearsals we were looking at the progress of the genetic world and interestingly as science advances there’s nothing that makes the play obsolete. The ideas that Caryl Churchill puts forward in the play are still pressing and they become more pertinent the more familiar we become with genetic advances and possibilities. Crudely, we haven’t yet cloned a human so the play’s not yet out of date. It is still a play that is asking- ‘what if ?’ The fact that we are more aware of the advances, such as being able to edit the human genome means that out idea of it as something that is in the dim and distant future in some dystopian world is being eroded. Our world is getting closer to this and I think that makes the ethical questions of the play present more pressing. In developing the production did you talk to scientists in the similar manner to the way that you and Nick Payne did with Constellations? Interestingly, the play never mentions the word cloning. The characters, certainly the clones, aren’t aware of this process. So in some sense it wasn’t something that the characters in the play necessarily understood. It was an opportunity that was offered to the father and that he benefits from and it’s a complete shock and surprise to the son. We did work in rehearsals to try to understand how cloning works, but actually we didn’t go out to meet scientists who are experts in their field because the characters themselves have a lay understanding of cloning, which we supplemented by research in the rehearsals. 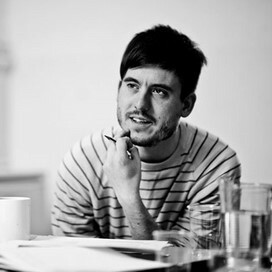 How do you go about the process of putting together ideas with stage designer Tom Scutt? Whenever I enter a design process it feels like there’s what I call top-down and bottom-up work. Top down work asks what are the themes that we are trying to capture? How can we use metaphor? How can we create an environment that has an emotional resonance with what we’re trying to say about the play? And then there’s the practical stuff- the bottom-up stuff – which is what does the play need? A Number actually needs nothing. With two bodies and no props, it frees you from many stage constraints. We decided at Nuffield that we wanted to give the audience a new experience, so we created an installation. We weren’t doing a traditional proscenium arch production of it. We were allowed to play with capacity, and make it an incredibly intimate experience. Tom hit on the idea of using mirrors, which felt like he had very cleanly, profoundly and simply hit upon both the ideas of identity – who are we? – and the idea of a multiplicity of reflections. Often as a director your job is to have these thematic discussions with a designer, and then be brave when they offer you an exciting solution. In a piece of live theatre the actors and audience are sharing a space, and in this instance I put them behind a glass wall and used microphones. But I hope that in addition to the ideas of reflection and identity, it also gives the audience a feeling of watching an interrogation. It’s not dissimilar to when you go to a police line-up through a two-way mirror. I think what that does is tie into the ethical issues, the idea of responsibility, the idea of our agency, the idea of guilt, blame and consequence. I think that all of those were useful social ideas to bring up in a stage design. Often as a director your job is to have these thematic discussions with a designer, and then be brave when they offer you an exciting solution. Do you think there is complementarity with Jennifer Haley’s play ‘The Nether’ which literally depicts an interrogation in a near-future science fiction scenario? Yes, absolutely. Both are taking out technological capabilities and pushing them a little bit further, looking at how humanity will respond if we are able to do those things. And do we like how humanity could respond? And therefore do we want our society to go in that direction? I think that’s the value of all “sci-fi work” is that it allows you to examine the society that we are in through looking at a society we’re not in. There are productions of A Number that have used test tubes a lot and very heavy scientific aesthetic and I think potentially that might have been interesting when the play first came out – when there was a sort of hype and horror around cloning. Actually what we wanted to do was push our aesthetic into a slightly different place. I put the idea of an interrogation room, which is more about responsibility and ‘blame’. Did recent public debate and legislative changes surrounding mitochondrial donation influence this new production of A Number? These advances are having huge gestalt shifts in our thinking, the idea of a three parent family, or the idea of being able to edit our genes are huge. The fact that we can’t achieve it at a certain level doesn’t mean conceptually we’re not on a certain pathway. It seems like as soon as we acknowledge the possibility of editing the genome, then we’re able to correct genetic diseases but we’re also a step nearer to eugenics. That is an important thing that we need to be thinking about. Do you think the success of plays such as Constellations and A Number indicates a growing place for science in the cultural life? I have directed predominantly new writing. I love theatre that is exploring who we are and science is a key enabler in understanding who we are, who we are now and who we are becoming. I think a writer who uses science to explore and answer that question can often tap into hugely exciting, revelatory and challenging areas of our humanity. I think as a theatre maker when you have a play that is exploring science, often formally – as is in the case of Constellations and actually in the case of A Number, both of those plays have the form of the play, or at least the theatrical experience dictated by the science. In A Number you’ve got one actor playing several clones. He literally embodies the act of cloning – but it also makes very good theatre. And in Constellations the form of the play was repeated versions of the multiverse. It’s an exciting theatrical provocation for an audience. In the design there’s lots of potential for metaphor. All of these things appeal to me as I’m interested in analytical ways of thinking. I guess it’s a personal preference but I think it’s a really valuable branch of theatre. Would you argue that science in theatre works best when the science informs the structure rather than the didactic content? Absolutely. If we’re trying to understand scientific principles there are probably much deeper lectures that one could go to, essays or journals that one could read or documentaries that one could watch. But I think what theatre can do is dramatize emotional consequences of what the science is. It can help us have an emotional understanding and ask the ethical question. Constellations poses what does it feel like to be in a multiverse? Actually, what that does is it makes you realize that I can’t access these other parallel universes, so my choices in this one are all the more precious. And that is the emotional feeling of the play. I think A Number asks if we could do these things then what would be the ramifications be? What does it mean – this idea that man is born equally? Well genetically he’s not. If we are given these opportunities, how can they be used or abused? 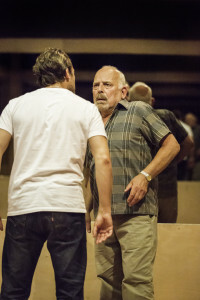 A Number, directed by Michael Longhurst, runs at London’s Young Vic until 15th August. 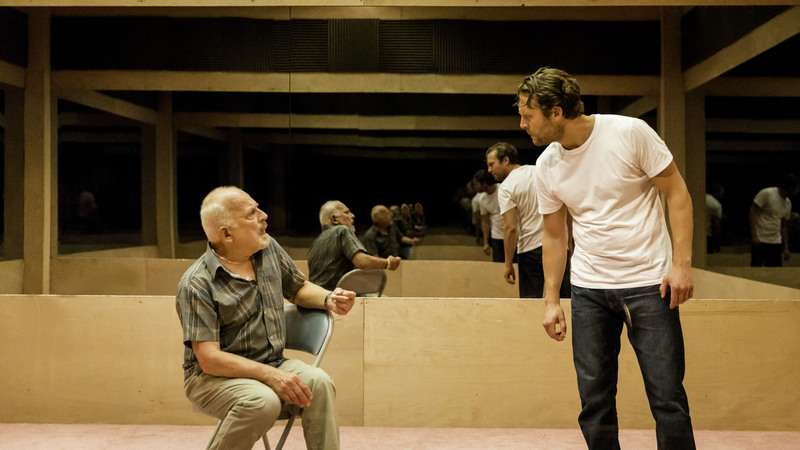 The Royal Court Theatre tour of Constellations is at Trafalgar Studios until 1st August.